No. 1 Bama not sleeping on No. 16 Mississippi St.
November 07, 2018 at 3:14 pm. TUSCALOOSA, Ala. — It goes without saying that Alabama is riding high. “Moving forward, the battle gets very internal in terms of putting the last game behind you and looking forward to the challenges and the test of the future, so you can’t really be complacent or satisfied,” Alabama coach Nick Saban said. “We need to put that behind us and get ready for the next team, Mississippi State, which is a very good team. One thing that will work in Saban’s favor in trying to avoid a letdown is that Alabama nearly lost this game a year ago. “It was tough,” Crimson Tide senior running back Damien Harris said. “Very hostile environment. Playing a tough team; good on offense, defense and special teams. 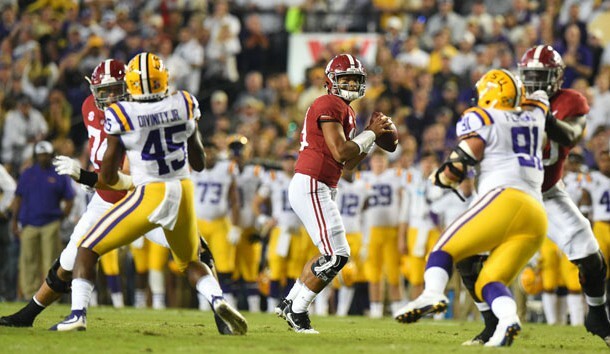 But this time the game will be at Bryant-Denny Stadium, where Alabama hasn’t played since Oct. 13, and the Crimson Tide has the Heisman Trophy frontrunner at quarterback in sophomore Tua Tagovailoa. “I hope we are able to make it difficult on him,” Mississippi State coach Joe Moorhead said. “I think they are up near 550 yards per game in total offense and over 50 points. 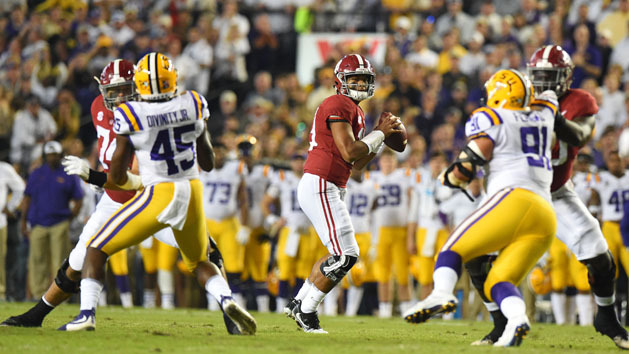 Tagovailoa has been slowed somewhat by a knee injury, but Alabama’s running game has improved of late and the defense has started looking as good as the Crimson Tide offense. LSU was limited to 12 rushing yards on 25 carries and it was only the fourth time in 25 years that the Tigers were shut out at Tiger Stadium.